The Bombardier CRJ9 aircraft is the Bombardier CRJ900 regional jet. CRJ9 is the ICAO code for the CRJ900 jet. This CRJ9 ICAO aircraft code is primary used by air traffic controllers and aircraft operators to identify the aircraft. 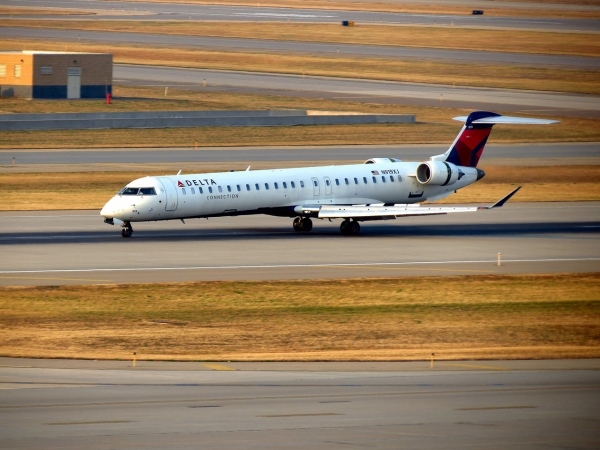 To learn more about the Bombardier CRJ9 regional jet visit the following pages, listed below the photo, that have more in depth information on the jet. Above CRJ9 Photo by reglegsfan21 on Flickr. Photo (only) released under a Creative Commons License. Bombardier CRJ9 Main Page – The main overview page on the CRJ9 regional jet. Bombardier CRJ9 Specifications – Get detailed information on the specifications for the jet. Bombardier CRJ9 ER – Learn about the CRJ9 ER version an how it is different from other CRJ9 jets. Bombardier CRJ9 NextGen – Find out about the CRJ9 NextGen version and learn about the upgrades it has. Bombardier CRJ9 Range – Information on the range of the CRJ900 regional jet. Bombardier CRJ9 Interior - Cabin – Learn about the arrangement of the CRJ9's cabin. Bombardier CRJ9 Price – How much does a CRJ9 aircraft cost? Find out here. Bombardier CRJ9 Seating Chart – View seating charts for the CRJ9 from various airlines around the globe. Bombardier CRJ9 Seat Map – Also view seat maps for the CRJ9 here.